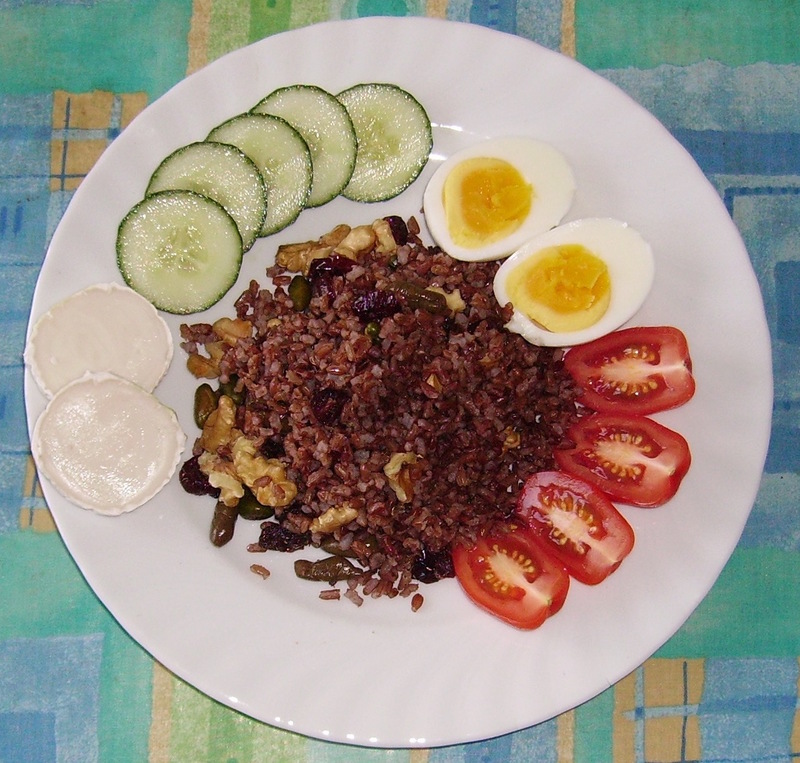 I like to make some spicy breakfast dish from left over rice, and today this was what crossed my mind. 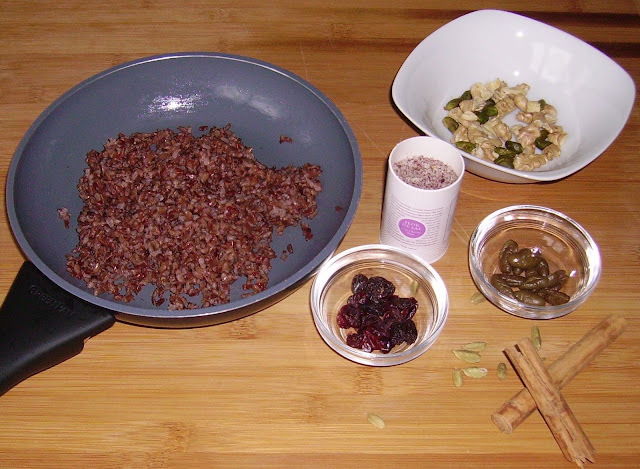 Red rice, rose and red pepper salt, cardamom, cinnamon, pistachios, walnuts, raisins and cranberries and some dried green olives. When I cook rice, I don't add salt so that I'm free to decide for rice pudding if the mood strikes. That's very rare, though, usually I want something spicy. Or something spicy with a little sweetness added, like a tablespoon of raisins and dried cranberries. For the salt, I used a spanish sea salt scented with dried and ground rose petals and mixed with red pepper. Fell free to use any kind of salt, or other spices. 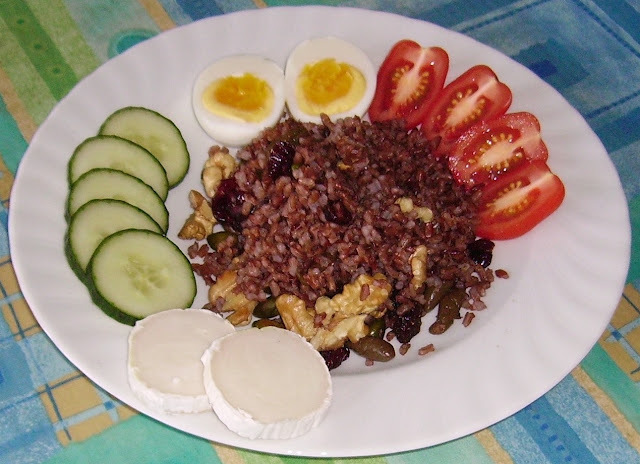 Of course just some rice, even whole grain red rice, is not enough for me for a full breakfast, so it went along with a boiled egg, two slices of goat's cheese, some slices of cucumber and some date tomatoes. Gently fry the rice in 1 teaspoon coconut oil, then add salt, spices, nuts, raisins and cranberries and olives, if using, heat through and serve with eggs, cheese, vegetables as you like.